The winter season has arrived, and now is a great time to start shopping for a luxurious new fur . Due to its unique properties, fur is able to provide wearers with ultimate comfort and style. 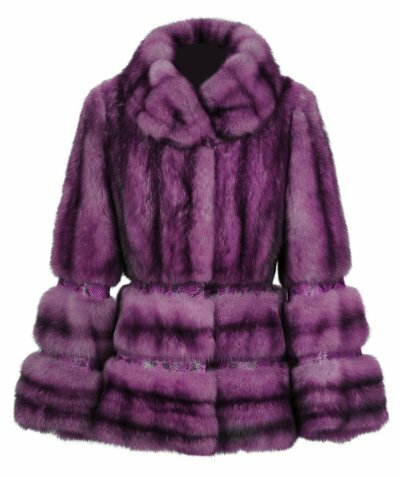 Before you invest in a new fur coat, it is a great idea to talk to a furrier that specializes in luxury furs near Chicago. 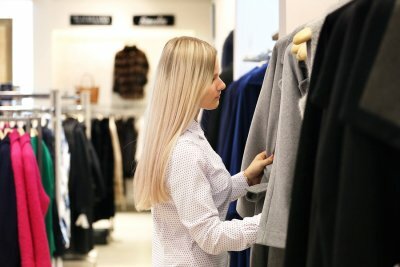 Your fur expert can help you choose a new coat or other garment that matches perfectly with the rest of your wardrobe. Read on for a look at some common questions that you may want to ask when you are purchasing a new fur. What Are the Features of a Quality Fur? There are several key features that you will want to look for when you are shopping for luxury furs. When you touch the surface of the fur, you should be able to feel both a top coat and distinctive under fur. Quality furs also have shiny pelts, which reflect light and dazzle with their beautiful coloration. What Type of Fur Should I Purchase? As you are shopping for furs, you will find that there are many different types of furs that are available in the style that you are seeking. Since each fur species has its own distinctive properties, you may want to ask your furrier for any particular recommendations that he or she may have. Ideally, your fur should be soft, comfortable, and a comfortable weight for you to wear. How Do I Care for My New Fur? In order to keep your fur in beautiful condition throughout the years, you will want to make sure that you treat it with the utmost care. After you have purchased and worn your fur, it is essential to make sure that you store it properly during the off season. A fur cold storage facility can keep your fur in pristine condition for years to come. The winter season is in full swing, and now is an important time to shop for new fur coats and fur accessories. If you do not find yourself chilly enough for a full fur coat, you may want to consider purchasing a new fur scarf. Fur scarves offer the warming properties of other furs, but with less overall coverage. A Chicago fur company can provide you with a tour of the different fur scarf styles that are trending this season. As you are shopping for a new fur scarf, you will have several different options to choose from. A fur infinity scarf can be wrapped around your neck, providing you with an insulating layer of warmth and protection from the elements. If you are seeking furs that cover both your head and neck, you may want to tour your furrier’s collection of stylish fur hoods. Once you have found the right fur scarf or hood, you will be ready to step out in style. A fur coat can be an invaluable purchase that repays its initial investment many times over, providing you not only with a fantastic piece of clothing but also a potential heirloom that can be passed down to your children. However, you shouldn’t neglect the potential of fur accessories . Accessories such as fur hats and fur scarves can be a terrific addition to your wardrobe, and they come in a variety of styles that allows you to pick out the item that is perfect for you. 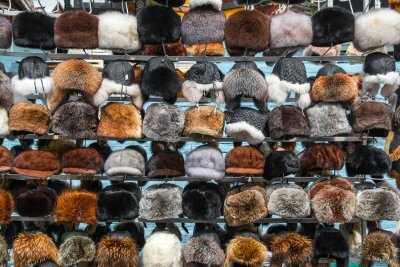 A store that deals in fur sales in Chicago can help you pick out the fur accessory you’re looking for. Here are some reasons you may want to consider purchasing a fur accessory. They are practical. 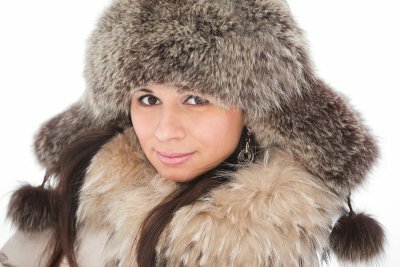 Nothing is warmer than fur, and a fur hat or scarf will be extremely effective at keeping you comfortable even when the temperature drops. You won’t want to wear your fur hat once and then hide it in the closet—it’s a useful accessory that you’ll find yourself using all winter long. They are stylish. Furs have an inimitable and eye-catching beauty that no other material can replicate. They can be made into a wide array of different items, so you’ll have plenty of options to select from as you shop. They are also highly versatile and combine well with many other types of clothing. A fur scarf can be a superb way to complement nearly any outfit, so it’s perfect for keeping on hand as you plan your winter wardrobe. They are lasting. Whatever type of fur you opt for, you can be assured that your fur will last for many years if you take proper care of it. Furs are not quite like anything else; they are soft to the touch yet strong and durable. If you’re looking to buy something truly unique and special, a fur accessory is a great choice. What Length of Fur Coat Should You Buy? If you’re picking out a new fur coat for the first time, one of the first questions to come to mind is probably what length of coat you should choose. There are several factors you should take into account when making your decision. If you’re buying a coat primarily to wear in cold weather, a long coat will probably be best suited to your needs, since it provides the most protection. Long coats also tend to have a lavish, elegant appearance that makes them ideal for special occasions such as important dinners. If you want to wear your coat throughout the year, you’ll probably want to go with a short coat. Short coats come in a wide array of sizes and styles, and they can be worn casually or as accessories. You should also take your own height into account; it’s always a good idea to try on a fur coat and look at yourself in the mirror before making the purchase. If you’re interested in perusing a selection of fur coats, a store that sells luxury furs in Chicago should be your first stop. With winter here, that means the temperatures have dropped and rainy days have begun. With the changing weather, you need a fur-lined raincoat (a full length garment) or fur-lined raincoat parka (a shorter garment with a hood) that will see you through the winter with beauty and comfort. Fur-lined raincoats will keep you warm, but will also allow you to easily remove the fur from the coat’s lining when you need it. Let’s take a closer look at choosing your next Chicago fur-lined raincoat or raincoat parka. During this winter, a versatile raincoat, such as a fur-lined raincoat, will come in handy for every cold and rainy day. A fur-lined raincoat could last you through the winter, if you plan correctly. Fur-lined raincoats have a zip-out fur lining that will keep you warm when you need it and are easily changed whenever you would like. Your fur-lined raincoat will likely be used most days this winter, so it should be comfortable to wear often. Ensure that your fur-lined raincoat fits you well too; do not settle for a simple raincoat at a department store. If you choose a fur-lined raincoat, then look for a qualified furrier who can fit the coat to your body’s dimensions. This will ensure a perfect fit. Since you will be wearing your raincoat often this season, it should look and feel how you desire. Look for coat styles that complement your body shape, and choose colors that can easily fit in wherever you wear them. If you are not sure of what style of raincoat you want, speak with your furrier about the different styles and colors that may look good on you. Look for a basic style that will easily follow trends through the years. This winter in Chicago, you will want to be ready for the cold with a fur coat. A fur coat is a statement piece that will stay classic year after year. Choosing a fur coat is straightforward once you’ve narrowed down your own personal preferences, such as the type of fur and the fur length you want. Different types of fur have different textures, colors, and even fur care requirements. The most popular fur type is mink fur, as it can go between formal and casual attire with ease and comes in more colors than any other fur. Plus, it is relatively durable and incredibly soft. Other popular options include rabbit fur and fox fur. Along with the type of fur coat, you will want to consider the length. The full length coat offers more coverage and warmth. For winters in Chicago, full length fur coats are the best option when choosing your coat length. Your furrier can help you find the perfect fur coat, fur jacket, shearling, or fur lined leather or cashmere for this winter. When you are in the market for your first fur, whether it is for yourself or a special gift for a loved one, you likely have several questions. Fur is an investment item, and so making the right decisions about your purchase is an essential part of getting best value for money. As you begin to explore your options for furs in Chicago , here is what you need to know. Not all people are looking for the same things in a fur coat. For instance, some people want a long, formal fur that they will wear only for special occasions, while others are looking for something a little more causal and sporty, like a short fur jacket. Decide how the fur will be worn to help you narrow down your choices. When you begin to shop for a fur, have a clear budget in mind before you begin. Furriers are accustomed to working with customers with a range of budgets and can help you find the best fur for the money you have to spend. Keep in mind that it is best to buy the best fur within your price range than to compromise on quality to get a specific kind of fur. For example, mink fur is more expensive than raccoon fur, and if your budget is tight, it is better to invest in a high-quality raccoon fur coat than a poorly made mink one. To maintain its quality, fur requires a special kind of care, from storage to cleaning. Some types of furs are more delicate than others, so ask the furrier for advice about how the fur you’re looking at will need to be cared for. Be sure you are ready to commit to the annual fur cleaning and storage that your coat will need to stay in good condition. The nominal cost for fur service will pay you back with years of warmth and beauty. If you are interested in buying a fur but are worried about whether or not you can afford it, then rest assured that your furrier is committed to helping people with all kinds of budgets find the perfect fur for them. As you shop for fur coats in Chicago , keep in mind this advice about discussing your budget with your fur sales expert. Start by being clear about exactly what you can afford to spend. Don’t feel pressured to say your budget is larger than it is, as your furrier only wants to find the right fur coat for you. Ask your furrier for tips on making your money go the furthest. Generally, it is best to buy the highest quality fur in your price range rather than buying a lower quality version of a specific type of fur, like mink. Don’t forget to ask about the cost of ownership, such as fur cleaning and storage, so that you can budget correctly.